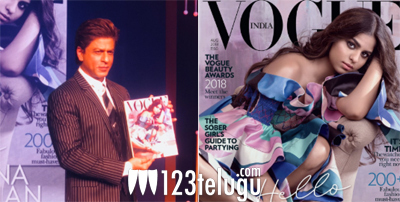 Shahrukh Khan might be one of the biggest stars in the country; however, neither he nor his family members can get away from being trolled on the internet these days. This time, it was his daughter Suhana Khan, who faced a major backlash on Twitter, after she graced the cover page of a popular magazine. In her first ever cover shoot and interview to Vogue magazine, Suhana spoke in length about how much she hated all the attention that she used to get in school because of her father and how it made her very self-conscious. The youngster is currently studying in London, and it probably won’t be too long since she is also launched as an actress in Bollywood, owing to her interest in theatre. However, not everyone is happy with a leading magazine putting the Superstar’s daughter on the cover page. While some people laughed at the magazine for promoting nepotism, others cracked plenty of jokes that soon, Saif-Kareena’s son Taimur too will be on a cover page for no reason. Whatever might be the case, with all this scrutiny, it certainly looks like the path to stardom will be tougher for a lot of star kids in Bollywood.